People are more likely to think of the beautiful countryside outside of Lititz, Pennsylvania—which is smack in the heart of Amish country—with horse-and-buggies than rock and roll. Atomic was founded in 1993 by Tom McPhillips, a veteran scenic designer who made a name for himself in London, doing huge shows for musicians like Michael Jackson, The Who, and Ozzie Ozborne. McPhillips chose the Lititz area in order to join forces with the Clair Brothers and Tait Towers, two other giants in the music world, which together form the famous campus of Rock Lititz. 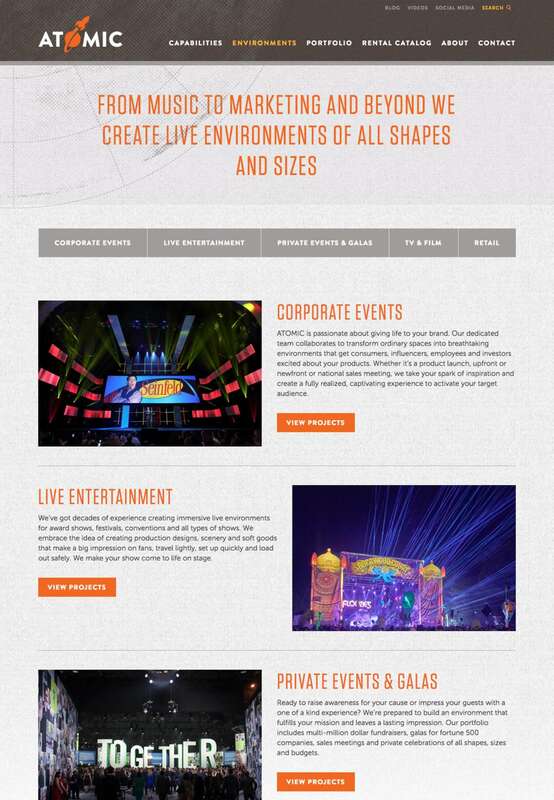 Atomic became known for creating television set designs for shows like MTV Unplugged and A&E Live By Request, before expanding into a full-scale set construction, production, rental, and design shop. 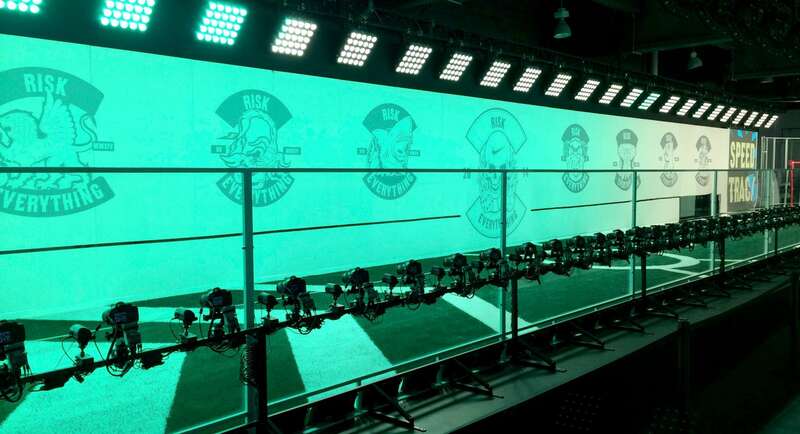 Eventually, they were producing shows from start to finish, for the likes of Nike, NFL, and Target. 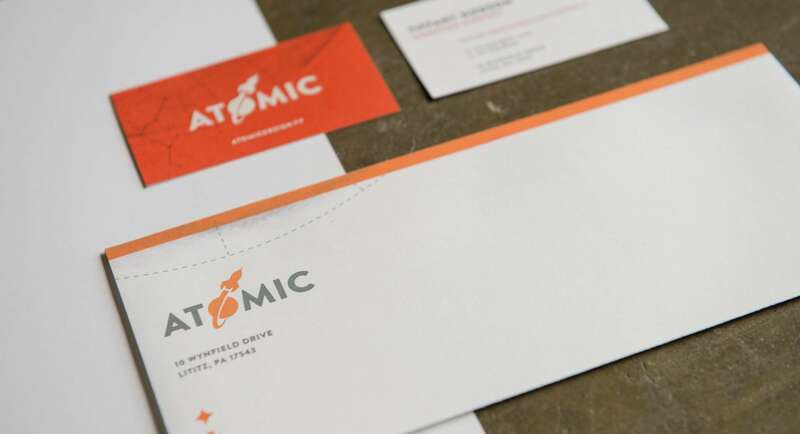 Through many years of growth, Atomic became a respected brand within the industry, and a world class company, right here in Lancaster County. However, their visual brand communication simply didn’t represent them anymore. The logo, originally designed by Tom himself, wasn’t translating to the modern platforms of social media, web, and email. Rollover to view previous logo. With such a renowned, decades old brand in our care, we spent time to understand the company inside and out, before getting started. We toured the facilities, immersed in company culture, learned how things happened, and conducted staff interviews, in order to build a fresh, modern identity while still honoring Tom’s original vision for the company. 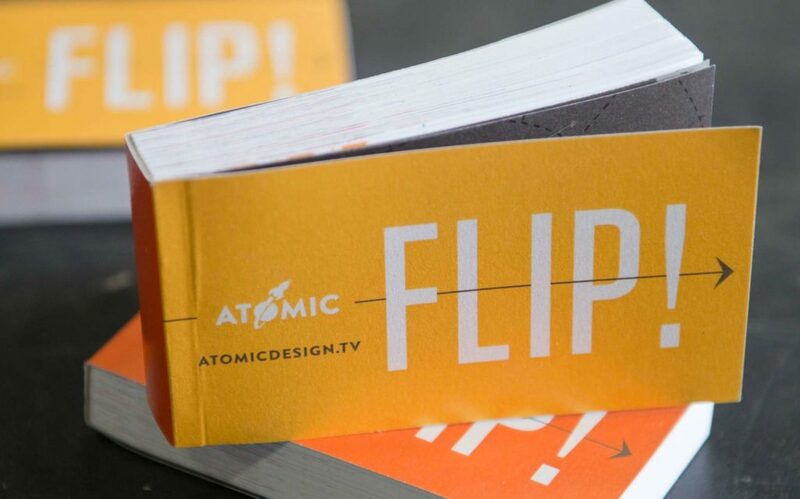 And, we’ve had tons of fun keeping up with the boundless creativity of the Atomic team, producing playful brand artifacts such as a flip book, a paper plane, and an office bicycle. A huge benefit of the refreshed brand was that it could live comfortably in digital spaces as much as physical ones. 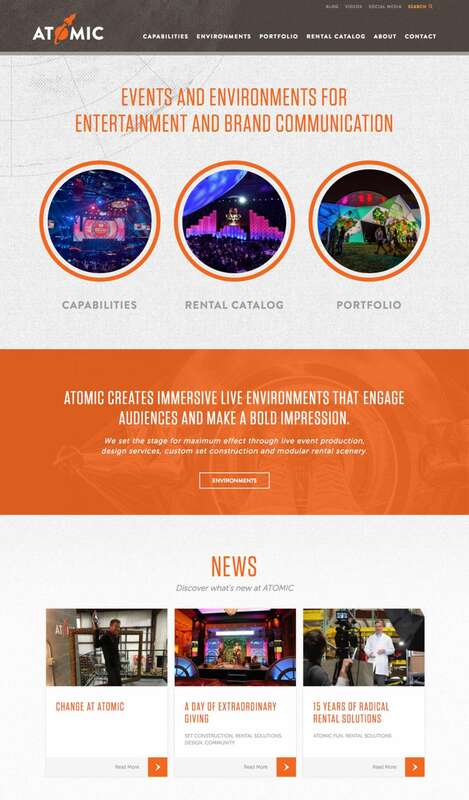 We designed and developed a dynamic website for Atomic, resulting in record web traffic and sizable growth in new visitors. 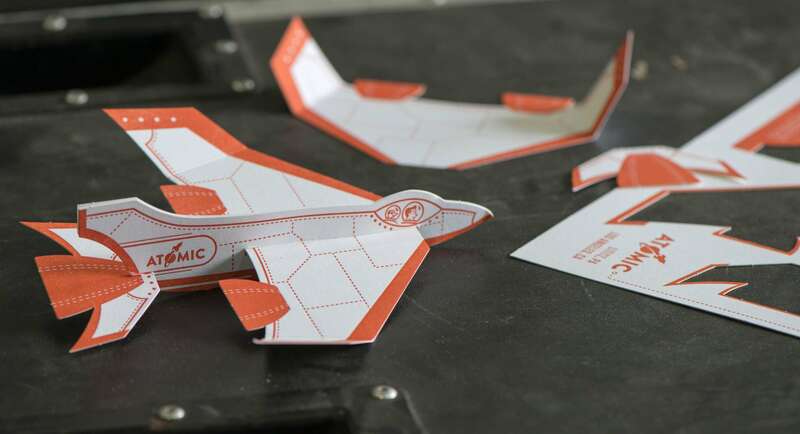 Since launching their new brand identity three years ago, Atomic has experienced explosive growth, opening new offices in New York, Miami, and Tokyo, and doubling its number of employees to over a hundred.